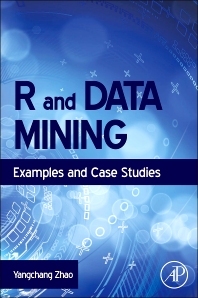 R and Data Mining introduces researchers, post-graduate students, and analysts to data mining using R, a free software environment for statistical computing and graphics. The book provides practical methods for using R in applications from academia to industry to extract knowledge from vast amounts of data. Readers will find this book a valuable guide to the use of R in tasks such as classification and prediction, clustering, outlier detection, association rules, sequence analysis, text mining, social network analysis, sentiment analysis, and more. Data mining techniques are growing in popularity in a broad range of areas, from banking to insurance, retail, telecom, medicine, research, and government. This book focuses on the modeling phase of the data mining process, also addressing data exploration and model evaluation. With three in-depth case studies, a quick reference guide, bibliography, and links to a wealth of online resources, R and Data Mining is a valuable, practical guide to a powerful method of analysis. Researchers in academia and industry working in the field of data mining, postgraduate students who are interested in data mining, as well as data miners and analysts from industry. Since data mining techniques are widely used in government agencies, banks, insurance, retail, telecom, medicine and research, the book will be interesting to many areas. A Senior Data Mining Analyst in Australia Government since 2009. Before joining public sector, he was an Australian Postdoctoral Fellow (Industry) in the Faculty of Engineering & Information Technology at University of Technology, Sydney, Australia. His research interests include clustering, association rules, time series, outlier detection and data mining applications and he has over forty papers published in journals and conference proceedings. He is a member of the IEEE and a member of the Institute of Analytics Professionals of Australia, and served as program committee member for more than thirty international conferences.